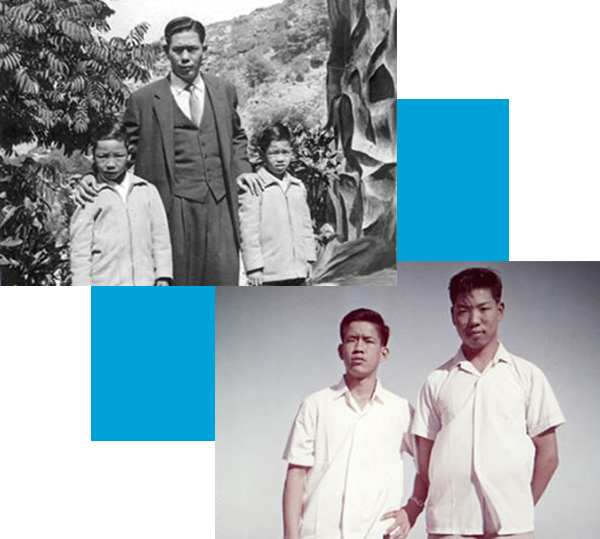 In 1964 two teenage brothers from the rural village of Taishan, China boarded a plane destined for Nassau, Bahamas. Awaiting them in Nassau was an uncle who had emigrated years earlier and something difficult to find in their small village, jobs. They would start work the next day, and would learn the grocery business by working 7 days a week. It took 2 years to payoff their airfare to the Bahamas and another 7 years to save enough to buy a stake in the store they operated. They worked, saved, and started families, dreaming of the day they could come to the United States. Southeastern Food Supplies was founded in 1968 to serve a small number but growing number of Chinese restaurants in South Florida. On December 24, 1980 the Yu Brothers, newly arrived in Miami, formed a company to purchase Southeastern Food Supplies from its prior owners. With a 6000 sq ft warehouse near the Liberty City area of Miami, and two delivery vans, the Yu brothers set out serving the Asian restaurants of South Florida. Adds fresh meat and poultry to the product line. Southeastern has grown alongside Florida and the popularity of Asian foods. Today Southeastern Food Supplies operates 3 warehouse locations and a fleet of refrigerated trucks that cover the state of Florida for daily deliveries. We are committed to serving ethnic Asian restaurants and markets with name brand ethnic Asian items used for Chinese, Japanese, Thai, and Vietnamese cuisine as well as a full line of other food and non foods items that covers a restaurant’s every need. Southeastern Food Supplies is Florida’s market leader in Asian Food Service. We service our restaurant, market, and distributor customers with the leading brands of authentic imported Asian foods. Copyright © 2018. Southeastern Food Supplies. All rights reserved.